The Japanese Defense Ministry has scrambled jet fighters after a Chinese surveillance aircraft flew for the first time near southern Okinawa islands. 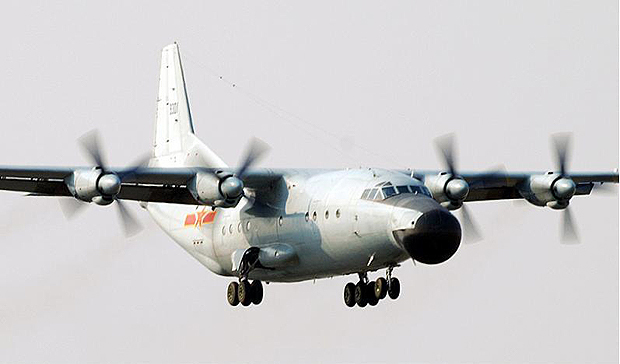 The jets were scrambled after a Chinese Y-8 airborne early warning plane flew through airspace between Okinawa’s main island and Miyako Island in southern Okinawa Prefecture. The Chinese move is thought to be an escalation of Chinese challenges to Japan’s contention the disputed Senkaku Islands belong to Japan. “I believe this indicates China’s move toward further maritime expansion,” Japanese Defense Minister Itsunori Onodera said on NHK, while Chinese spokesmen had no immediate comments. Japan calls the islands Senkakus, while China, which also claims sovereignty over the tiny islands west of Okinawa’s main island, calls them Diaoyu. The islands have lucrative fishing grounds, and geologists say the underwater minerals could include large oil and gas reserves.